This entry was posted on Monday, April 11th, 2016 at 8:25 pm. I posted about etsy shop, KentuckyBredByDesign, last year before I had actually been a customer of theirs. I have since ordered two products from them, and I am SO pleased with both! The first is the horseracing jockey silks. This is a large piece that I’ve hung on my front door. 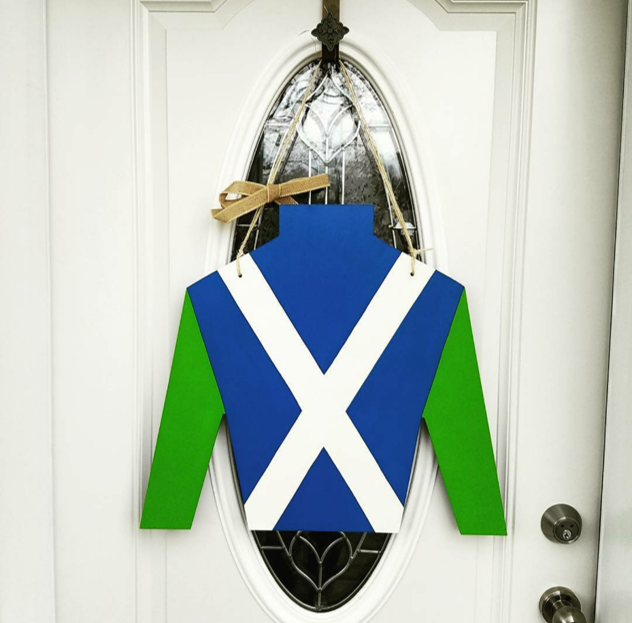 My sister has similar jockey silks (from another etsy shop, I believe), and mine are much better quality. It’s bigger and the paint job is absolutely perfect. The turnaround time on this one was about a week. We are still renovating our bathroom, (it’s almost complete! ), and I’ve decided it will have a Kentucky theme. 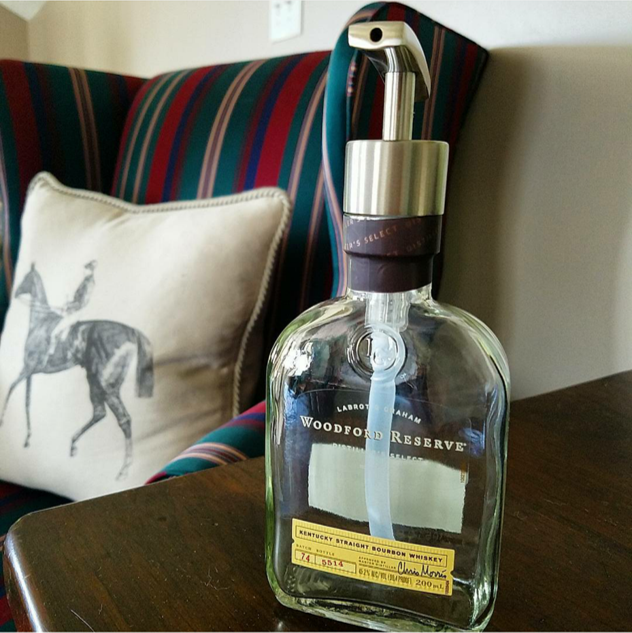 I have purchased some cute art for the walls, (will do another post once everything’s done), and thought this soap dispenser would be a perfect fit. 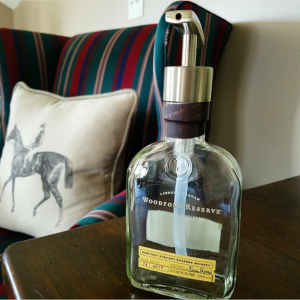 I chose the stainless steel pump, (I believe there were other options). It was only $10 and arrived within two or three days. 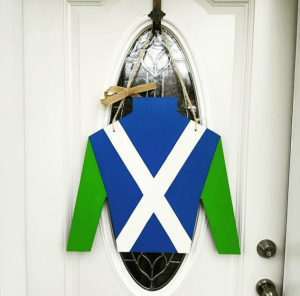 If you’re looking for a fun etsy shop that provides high quality horseracing-themed décor, KentuckyBredByDesign is it!